The Alliance for Academic Freedom (AAF) urges the federal government to rescind its decision to bar Omar Barghouti from entering the country to present his invited lectures at US campuses and elsewhere. Created to defend academic freedom, the AAF opposes the very policies Barghouti has not only endorsed but also helped originate worldwide. 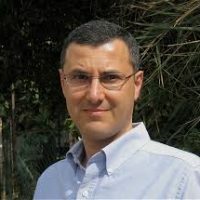 He is a founder of the Boycott, Divestment, and Sanctions (BDS) movement that has advocated a boycott of Israeli universities. He remains one of the movement’s most extreme spokespersons, calling for “euthanasia” for Zionism and the complete elimination of the Jewish state. He finds violent resistance to the occupation of the West Bank acceptable. He also openly admits that academic boycotts will harm individual students and faculty, not just academic institutions, a claim that many BDSers disingenuously deny. Universities exist to allow their communities to encounter and grapple with not only ideas we admire, but also ideas we deem deplorable. The BDS movement tries to silence campus speakers and block dialogue with Israelis and all those who support a two-state solution that would recognize the right to political self-determination for both peoples. We believe this destructive agenda can be countered with convincing alternatives, with better ideas based on more complete historical understanding. Universities were created to foster such debate. A liberal democracy should tolerate the free expression of intolerant ideas. Immigration and visa policies based on policing speech that presents no imminent risk undermine the First Amendment and contravene the principle of academic freedom. For these reasons we urge again that Barghouti be allowed to enter the United States.